Today, the festival announced a slew of acts to join previously announced headliners, Red Hot Chili Peppers, The Chainsmokers and B'z. 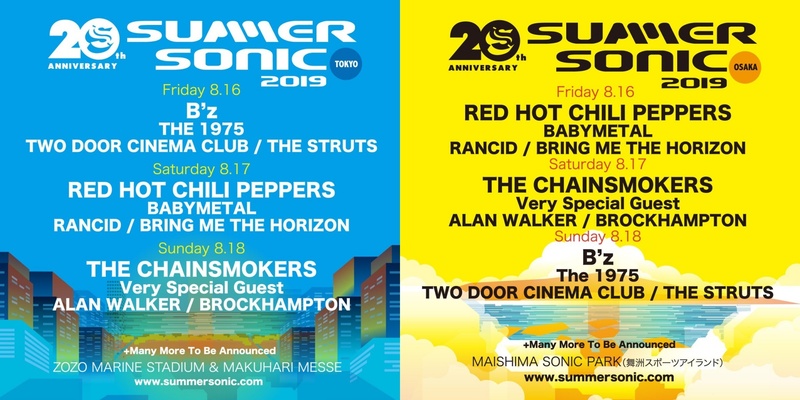 The first wave lineup includes The 1975, Two Door Cinema Club, The Struts, Baby Metal, Rancid, Alan Walker and BROCKHAMPTON. Many more acts have yet to be announced but the roster is looking spectacular, so far.